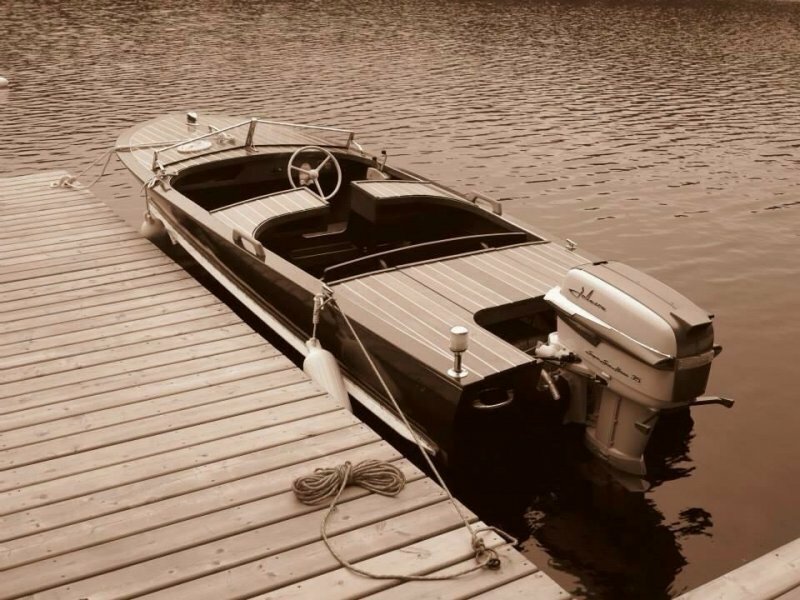 Here we have a 16′ 1956 Dunphy runabout. When I found this gem, she was in an old hay barn sitting on a 1956 TeeNee trailer, hadn’t moved in 15 years. She was a one family boat passed on thru the family. Her cold molded hull was bone dry, free of rot, however sunlight had taken its toll on the top deck. In tribute to my father who got me into boats, his nickname, “The Groover” was fitting. 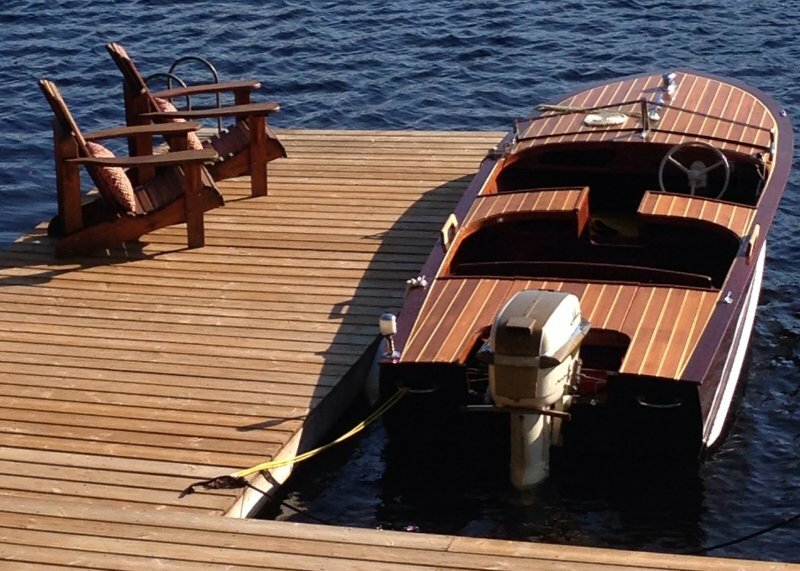 She now rests in her true home (the cottage) of Muskoka.